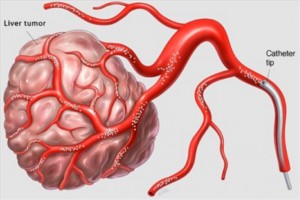 Interventional oncology is a field that has seen tremendous growth over the last couple decades. 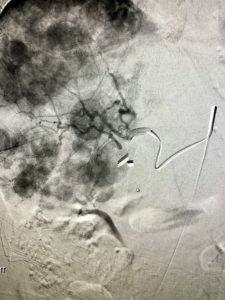 Through minimally invasive procedures, interventional radiologists are now capable of diagnosing and treating a broad spectrum of cancers throughout the body. This results in improved patient outcomes, shorter recovery times, and improved quality of life. Using tiny incisions and needles, interventional radiologists can obtain tissue samples from tumors in the body in order to get a diagnosis. Diagnosis is critical in determining treatment options. Also, image guided biopsies obviate the need for open surgery to get a diagnosis which reduces the risks to the patient. Primary liver cancer is a very common tumor of the body. Also, tumors from other parts of the body commonly spread to the liver. 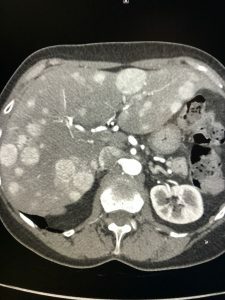 When the liver is the primary site of cancer, the treatment of the liver disease is often the primary factor determining the long-term prognosis for the patient. When surgical resection is not an option, these minimally invasive therapies have a significant impact on inhibiting tumor growth. 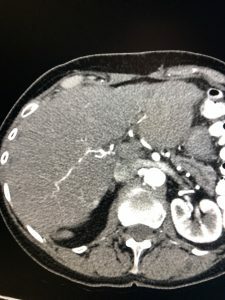 Through a small catheter that is placed in the leg, tiny beads coated with chemotherapy or radiation-emitting particles are injected into the arteries of the liver that supply tumor under x-ray guidance. These beads provide very localized treatment to the liver tumors, limiting toxicity to the rest of the body. Over time, these tumors often get smaller in size, helping improve the prognosis. Most of these procedures are performed as an outpatient with low risk profiles and limited side effects. Most patients return to normal activities within a few days. 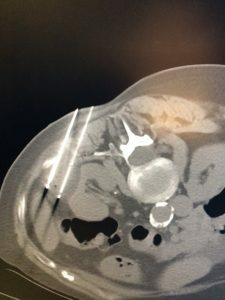 In certain patients with relatively small tumors, an interventional radiologist can insert a small needle under CT or ultrasound guidance into the tumor and kill the tumor cells by heating or cooling the tumor. In many cases, this can be an alternative to major open surgery. 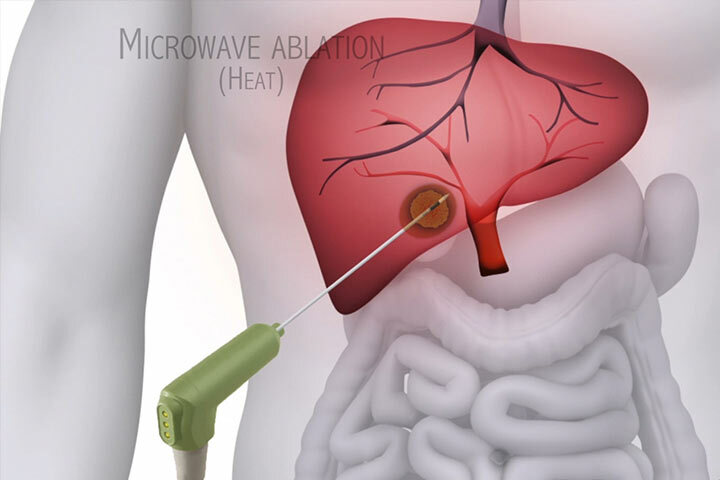 The most common tumor locations treated with ablation are in the liver, kidney, spine, adrenal gland, and lungs. Most patients go home the same day with a very short recovery time.